Colin Juttner was born in 1910 at Tanunda in South Australia. He was educated at St Peter’s College, Adelaide and John Taylor was born in Sydney in 1914. He was educated in Knox Grammar School, Wahroonga and in 1934 commenced his medical studies at Sydney University. Following graduation he worked as a resident medical officer at Sydney Hospital. In July 1940 he enlisted in the AIF as a Medical Officer with the rank of Captain. He was allocated to the 2/30 Battalion. Later he was one of ten Medical Officers sent to support 3,600 Australian POWs who formed part of the 7,000 strong "F" Force. This was a Force which it is generally acknowledged had the hardest time. The death rate amongst the British was 59% and amongst the Australians was 29%. “F” Force was force-marched to northern Thailand a distance of 300 Kms over 18 nights by the Japanese. The Medical and Dental officers, Medical Orderlies & Chaplains were courageous in their support of the POWs during the march and subsequently over the 7-8 months they were in the work camps. I first got to know John when he was attached to my medical wards in Roberts Hospital, Changi, early in 1942, not long after our captivity commenced. He came to me with an excellent reputation as one of the outstanding R.M. 0 ' s of the 8th Division, not only quite fearless in action, but also singularly devoted at all times to the interests of his sick. While he was with me he fully lived up to his high reputation; he worked long, conscientiously and efficiently and with that little touch of practical sympathy which is the hall-mark of the man for whom Medicine is a real vocation. I was very sorry when he left me for a working party camp in Singapore, not only because I missed his valuable assistance, but also because I had developed a warm regard for his attractive personality. The next time we came together was on "F" Force, that ill-fated expedition of which you have heard, and will hear many gruesome descriptions. During the course of twenty years of professional life and of eight years in two A.I.F's, I have never known. circumstances in which the real qualities of a man became more transparently obvious than those pertaining in Thailand from April 1943 to April 1944. There was first the long and exhausting march of 200 miles along rough tracks through monsoon-smitten jungle, with little rest, no shelter, incessant rain and the constant burden of helping and succouring the steadily increasing number of the sick. John earned golden opinions from the members of his party, and confirmed the already very high place he held in the esteem of his Battalion. Then there was the long dreary business of the working camps - trying to keep men alive under circumstances of very great difficulty, with cholera, dysentery, malaria and beri-beri raging simultaneously, very few drugs and very little skilled nursing assistance. As S.M.O. of Shimo Songkurai camp, my job of endeavouring to cope with sometimes as many as 1450 hospital patients with only three M. O's to help me, would have been quite impossible had these three ~ Lloyd Cahill, Frank Cahill and John - not been men of high personal fortitude. The A.I.F. owes these three a very great debt for the work they did and the lives they saved - a debt which is frankly and openly acknowledged. John kept up his excellent work throughout the Thailand affair, and has done an excellent job ever since, first as R.M.O. and latterly as S.M.O. of a working camp in Johore. Throughout his service he has worked quite irrespective of personal ill health, the only thing that mattered was the well-being of his patients. He is a grand fellow and a really good doctor. He will be very successful in his profession and he will fully deserve this success. I count myself lucky to have known him and to have had his invaluable assistance in my most difficult jobs." Post War John went to London where he was successful in the July 1949 examinations for membership of the Royal College of Obstetricians and Gynaecologistss. Whilst in London John married Barbara, who he had known in pre war days. Co-incidentally, Lloyd Cahill was present at the wedding. Subsequently, it was actually Bruce Hunt (his fellow POW Medical Officer) who enticed John to come to Western Australia where he achieved high recognition in obstetrics and gynaecology. John had an untimely death in 1966 at the age of 52. Presented by Lt. Col. Peter Winstanley OAM RFD (Retired) JP with the assistance of Mrs. Elizabeth Black (step daughter of John) and Dr Don Gutteridge. DR Hugh C Gallagher writes: John was born in Sydney (where his mother still resides) 52 years ago. His father Mr. P. J. Taylor, predeceased John by two years. Knox Grammar School, Wahroonga, N.S.W, provided John's early education, and from here he matriculated in 1934. His father's engineering interests resulted in John serving three years of an engineering apprenticeship prior to deciding that medicine was to be his vocation. In 1939 he graduated from the University of Sydney, and shortly after this he joined the 2/20 Battalion as Medical Officer. After preliminary training, he was soon en route to Malaya, arriving there but a short time before the fall of Singapore. At Gemas on the mainland, his zeal, devotion to duty and bravery earned for him the Military Cross. When Singapore fell, John became a prisoner of war and was among the last batch of prisoners to sail for home after hostilities ceased. His period of captivity included 18 months on the Burma-Thailand railway. With his colleagues and men, he suffered great privations, and endeared himself not only to his medical associates, but also to the many men who so appreciated his tremendous efforts on their behalf that, after their release, they suggested to their commanding officer that not only did Taylor, "warrant his earlier decoration but that he should obtain a hatful of V.C.'s". John returned to Sydney, to give thought to his future in medicine. After acting as resident medical officer at Prince Henry Hospital, he decided that his field of specialization would be obstetrics and gynaecology. To fill requirements for the M.R.C.O.G. diploma he occupied posts at the Sydney Hospital and later at the Women's Hospital, Crown Street. He proceeded to London in 1949, and was successful at the July examinations for membership. 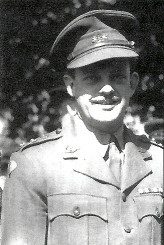 The late (Major) Bruce Atlee Hunt, a physician, whose name will be remembered by most who read this, was intimately associated with John during his prisoner-of-war years. Bruce had formed the highest opinion of John, and on hearing of my desire to take a partner had no hesitation in telling me (Dr Hugh C Gallagher) that John was the best man in Australia for me. On his suggestion, John attended the Australasian Medical Congress (B.M.A.) in Perth in 1948, so that we could meet. That meeting convinced me that John was my man. Arrangements were soon finalized for John to return to Perth after the M.R.C.O.G. examination, and in November, 1949, our association commenced. Sixteen years of partnership never marred by a cross word have now terminated. Our difference in ages to some extent allowed me to think of John as a son, and is thus that I mourn for him. John Taylor, soon after starting practice in Perth, was elected to a gynaecological post at the Fremantle Hospital and at King Edward Maternity Hospital….."
John took a keen interest in hospital affairs……"
John was a very active member of the Western Australian Branch of the Australian Regional Council of the Royal College of Obstetricians and Gynaecologists,……"
Our late colleague was keenly interested in student teaching……." Professional activities left John little time for sport. Had time permitted, he would have been one of the State's best golfers……." In 1949, in England, John married Barbara, a sweetheart of many years. Barbara had a daughter, having married some years before an American who lost his life in the War. The marriage of John and Barbara was a very happy one. They developed a very large circle of friends in Perth and it was my privilege to be obstetrician at the birth of their two children, Penelope and Ian - a wonderful pair, who, with Elizabeth, John's stepdaughter, provide a great consolation to Barbara in her tragic loss. For a brave soldier, for a dedicated obstetrician, and for a dear friend and partner, a simple epitaph: "Many jobs well done." E.G.S. writes: In John Lindsay Taylor, who died painfully and at the untimely age of 52, were invested many admirable qualities. Intelligence, an agile mind and great technical skill brought him to the higher reaches of his profession, obstetrics and gynaecology. Gaiety, urbanity and wit made him a most attractive person to meet both socially and professionally; and great physical courage, which in the past had earned for himself distinguished military decoration, marked him as a man of determination and strength, possessed of remarkable powers of endurance and self control. In his profession he achieved the highest level of respect; and the combination of the virtues made him an admired and beloved Chairman of the Honorary Staff of the King Edward Memorial Hospital. Time, the ever-rolling stream, bears all its sons away - sometimes, we might regret, too early in their life. John Taylor bore a painful, burdensome and altogether premature illness with that courage and fortitude which had characterized his life in youth - in the service of his country……"
Dr. (Captain) Roy M. Mills (fellow POW Medical Officer) writes: In August, 1966, at a gathering of Eighth Division Officers, Brigadier F.G. Galleghan, former Commanding Officer of the 2/30 Battalion, slowly joined a small group of us. He stared into the middle distance, cleared his throat, and told us that John Taylor was suffering from a serious illness and was unlikely to recover. He spoke only four brief words. Where there is a bond of understanding between men, brief words suffice. We were all moved. All men who had been treated by, or worked with John Taylor would have been moved………"
"….I should like to dwell further on the days when John served the 2/30 Battalion. On January 15, 1942, one of our advanced dressing stations (ADS) received the first Australian Imperial Force (AIF) casualties in Malaya from the Battle of Gemas, treated by John Taylor. The majority were so well treated that in fact they were evacuated through our main dressing station (MDS) direct to the casualty clearing station (CCS). The standard of first-line treatment from the whole brigade was so high that we subsequently operated with forward detachments of advanced dressing stations only in contact with the battalions. It was a tribute to the fighting qualities of our battalions and the vigour of their lateral patrols in this jungle warfare that, in our evacuation of the continuous stream of wounded down the long lines of communications in the mainland of Malaya, we were never molested. We in the forward detachment of an advanced dressing station could leap-frog with a relieving detachment and get some rest. The regimental medical officers of those six magnificent battalions had no rest. Their deeds are not widely known. One was killed in action, another killed as a prisoner of war. With the passing of another, it is proper that there should be a record of his personal deeds. Accordingly we are grateful that the Editor should welcome a tribute from John Taylor's former Commanding Officer, Brigadier F. G. Galleghan, D.S.O., O.B.E., I.S.O., E.D. Brigadier F.G. Galleghan writes: If ever there was a good regimental officer in the 2/30 Battalion, it was John Taylor. In him there was no usual regimental medical officer but a member of the Battalion in every way. Not only did he perform his medical duties with skill and assiduity, but he was also Officer in Charge of Battalion sporting activities and Officer in Charge of the Battalion band. These duties are most unusual for a regimental medical officer; but then, John Taylor was a most unusual regimental medical officer, and that was for the benefit of 2/30th Battalion. During our training which was hard and tough, John Taylor made sure that the health and physical fitness of every man enabled him to carry out such training. He was outspoken to me where health was concerned, and equally to troops when he suspected malingering. To me, as a Commanding Officer, John Taylor was the ideal Staff Officer, and not only had I admiration for a courageous officer, but much affection for a man that I regarded almost as a son. In battle he was more than outstanding; his bravery earned for him my recommendation for a Military Cross (one of the two first awarded to the A.I.F. in Malaya). I was more than pleased to be able, in Changi later, to give him a piece of the ribbon to wear. His award of the Military Cross was an "immediate" award, which means that his bravery so impressed the General Officer Commanding Malaya (General Percival) that on his delegated authority he, without further reference, personally made the award #. Courage and bravery are displayed by many soldiers; but in John Taylor's case they were displayed on the first day of battle, when the headquarters area was being bombed from the air most frequently. Courage on an occasion such as that is real, true courage, and the Military Cross was more than merited. During the brief campaign, his conduct continued to be an example to others. Then we became prisoners of war, and here again was John Taylor outstanding. On the return to Changi of the troops from the infamous Burma-Thailand railway, a large number of my troops paraded to me, and their spokesman said: "You got Captain Taylor an M.C. Sir, what can you do to get him a hatful of V.C.'s? Because one is not enough." What greater praise can a man ever receive? John Taylor, like other young regimental medical officers (RMOs), amputated limbs with saws from wood-heaps; he was one of the first, if not the first to discover cholera: and through it all the soldiers felt he had earned a "hatful of V.C.'s". That was Captain John Lindsay Taylor, M.C., gallant soldier and great gentleman, who was a credit to the medical profession. Dr. (Captain) Lloyd Cahill (fellow POW Medical Officer and his Best Man when he married Barbara in England in 1949) writes: The untimely death of John Lindsay Taylor has left a gap in the ranks of those who served with him in the Eighth Division, A.I.F. Always a man of intense dedication to duty, he enlisted in June, 1940, after serving six months as a junior house surgeon at Sydney Hospital. He was appointed to the 2/30 Battalion. Such were his personality, his understanding of his fellow man, his insight into the minds of men on active service, that he rapidly became beloved, not only by those of his unit, but by all with whom he came in contact, irrespective of rank. He was the epitome of a regimental medical officer, a doctor first, but always an excellent soldier. In action he was outstanding, as is evidenced by his award of the Military Cross. In the sombre days of prison of war camps, his presence added brightness to the affairs of the day - with a corresponding fillip to the morale of his colleagues. Defeat was not in his make-up - and this attitude he broadcast on all sides. No matter how impossible conditions appeared at times, these were just another hurdle for him to surmount. Whilst on service, he decided that his calling in medicine was obstetrics, and with his usual application to the task in hand, he fitted himself for his chosen specialty by postgraduate training at the Women's Hospital, Crown Street, Sydney, and then proceeded to England, where he gained the membership of the Royal College of Obstetricians and Gynaecologists. On returning to Australia, he took up consultant practice in Perth, where those qualities that so endeared him to his Service colleagues soon won him the reputation of an outstanding citizen and practitioner in the city of his adoption. # Captain Victor Brand, was also awarded the Military Cross in recognition of his performance in battle whilst the Allies retreated down the Malayan peninsular. This is the end of the obituary. The concluding remarks are extracts from the diary of Private GBW Skewes Medical Orderly from the 2/13 Australian General Hospital (AGH). These diary notes were written in Thailand at a camp called Kami Songkurai (near the border with Burma). This camp was around 290km from the start of the railway in Thailand. The POWs had been forced to march there and there was a high death rate. Wednesday, 27 October 1943 - Last night I dreamt that Major Turner of Sydney (Changi Dr.) examined me and told me to go easy as I had cardiac berri-berri. I went to the creek this morning about 9.45am to get water, prior to starting on my patients - proper time about 7.30am - and on returning with water in bamboo, I came up the 8 ft. ladder to my quarters for a few minutes. All so suddenly I received a definite heart attack. It began to thump and to race. Don Murray checked me by the minute hand of his watch and instead of normal 72, my ticker was doing 140 to the minute. I was almost gasping for breath. Doctor Taylor put a stethoscope on heart and took pulse. It was a disorder named techni cardiac. He pressed his thumb into a gland on the side of my neck, then told me to bear hurt whilst he pressed my right eye in against socket of head with his thumb as hard as he could. It hurt very much, but had the desired effect, for the action of my heart came back to normal. He told me to take work easy today, and not to worry or there would be future detriment to my heart. I still feel a bit off, but have eaten fair for midday. I will rest as much as I can this afternoon. Wednesday 24 November 1943: Another amputation done this morning. I assisted at the operation over under the shelter of the jingle trees, and rocks which are 300 to 400 feet high, where there were few flies because of the shade and cool from the freezing might we had. Captain Taylor operated, assisted by major Stevens and Captain Wilson (British Medical Officer)………. Compiled by Lt. Col. Peter Winstanley OAM RFD (Retired) JP with the assistance of Mrs. Elizabeth Black (step daughter of John) and Dr Don Gutteridge.